Members of the Vermilion Parish School Board sparked national outrage for their inaction, as they sat and watched Deshia Hargrave being pulled to the floor, and out of the room aggressively. All eight members are up for reelection this year. 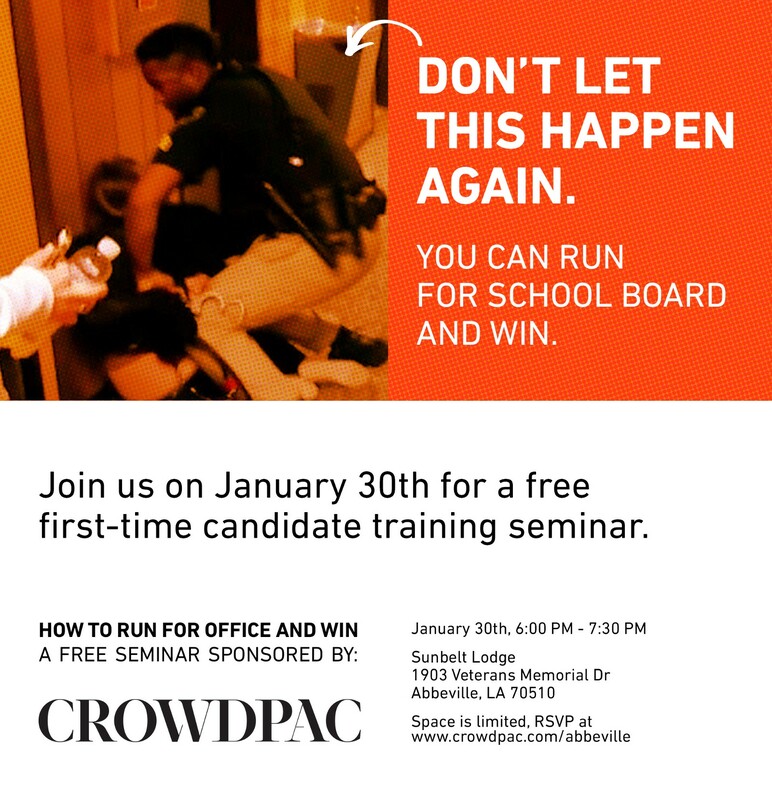 Crowdpac’s seminar, which will be held the evening of January 30th at the Sunbelt Lodge, is designed to walk candidates and potential candidates through the basics of planning a campaign for public office and winning. The event is free and open to the public, but RSVPs are required. For event information and to RSVP, visit Crowdpac.com/Abbeville.